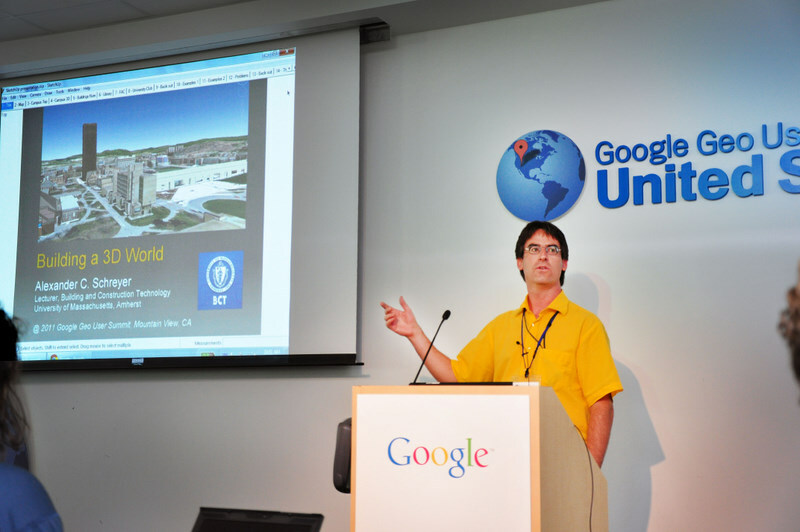 When I went to the 2011 Google Geo User Summit United States in Mountain View, CA this July, I had the chance to present two projects that I have worked on in the recent past here at the University of Massachusetts. The first presentation was on our campus modeling project in which my students (mostly from the BCT 420 class) and I have been modeling the entire UMass campus using SketchUp for Google Earth. This is still an ongoing project because we are continuously refining the models. If you want to see the results, browse to the “01003” ZIP code in Google Earth and make sure the 3D Buildings layer is turned on. In a second presentation, I talked about the UMass Favorite Places project in which people at UMass can show off their favorite places on campus by submitting a placemark and a short description. If you have your own favorite places on the UMass campus, feel free to add your own here. 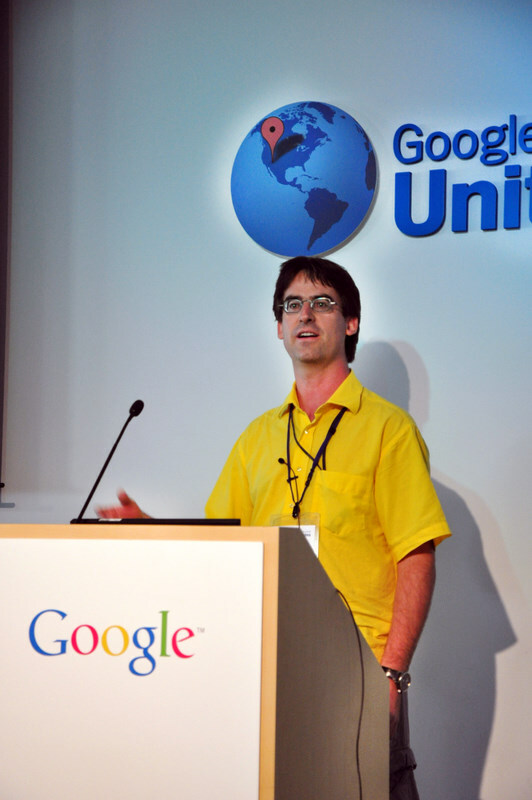 Overall, my visit to Google was great fun and I enjoyed meeting many similarly-minded people. For a recap of the event, visit my other post.